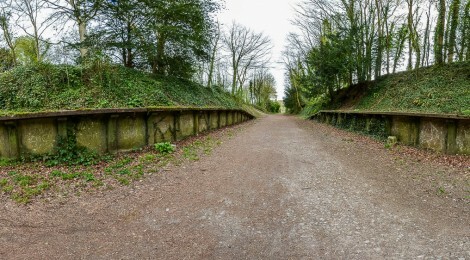 This image below is one that’s been added to the Charlton Marshall Halt page – it’s a full 360 degree panorama of the station as it is today in 2013. If you click the image you should be able to see it at the full size uploaded (which is about 1/6th of the actual capture size! There’s loads of details in this shot, and I plan to add more panoramas of stations as I can capture them). Poole has a few night shots added that were taken back in 2010. Hamworthy now has photos which I took a week or so ago. Creekmoor Halt page now has photos, and you can see features clearly visible in 1960′s photos. Corfe Mullen Halt has photos from the last 3 years. Charlton Marshall Halt has lots of photos added. Things have slowed down a little on updates on the site, but the plan is still to get all the photos I have uploaded, then start fleshing out the information for each station, so keep checking back as updates are coming around once a week at the moment.